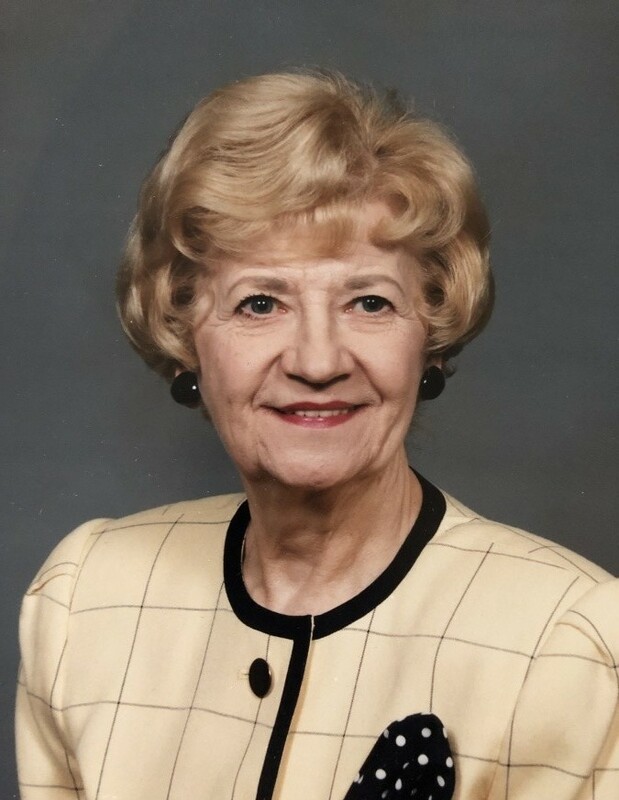 Obituary for Margaret (Yaczola) Weber | Joseph W. Nickels Funeral Home, Inc.
Margaret Weber, 90, of North Huntingdon, passed away Monday, April 1, 2019, in Ardens Court, Monroeville. She was born Sept. 27, 1928, in Pittsburgh, a daughter of the late Ignatz and Anna (Brenzovych) Yaczola. In addition to her parents, she was preceded in death by her husband, Charles L. Weber Jr., in 2006; a brother, Steve; and five sisters, Mary, Helen, Sophie, Stella and Anne. Prior to her retirement, she was an executive secretary, having worked for Elliott Co. in Jeannette for many years. She was a member of St. Stevens Byzantine Catholic Church in North Huntingdon. Margie was a great cook and she always looked forward to Sunday dinners with her family. She enjoyed shopping and was always dressed in the utmost fashion. She was also so proud of her grandchildren and great-grandchildren. Margie is survived by her two sons, Thomas (Louann) Weber, of North Huntingdon, and Paul (Diane) Weber, of Herminie; her daughter, Nancy (Robert) Guiliani, of Monroeville; 10 special grandchildren, Nichole (Nick) Peklansky, Jennifer (Nicholas) Troiani, Elizabeth (Jason) Fogle, Michael (Kristin) Weber, Maria Guiliani and fiance, Phillip, Amy Guiliani, Bobby Guiliani, William Weber and fiance, Julianne, Christi (Drew) Maughan and Carley Weber; six special great-grandchildren, Mia, Giuliana, Daniela, Scarlett, Savannah and Maverick; and several nieces and nephews, great-nieces and great-nephews. Margie had a heart of gold and she will be dearly missed by her family and friends. Friends will be received from 3 to 8 p.m. Friday at the JOSEPH W. NICKELS FUNERAL HOME INC., Herminie, 724-446-7251. A funeral of Divine Liturgy will be celebrated at 10 a.m. Saturday in St. Mary's Byzantine Church in Herminie. Interment will follow in West Newton Cemetery. Parastas service will be held at 7 p.m. Friday in the funeral home. To send online condolences, please visit www.nickelsfuneralhomeinc.com.